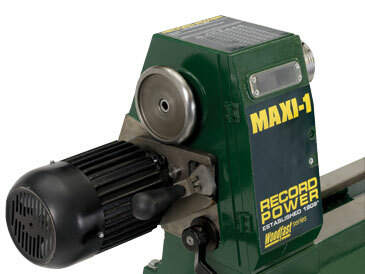 The MAXI-1 has been specially designed to offer large capacities and support for heavy work in a compact design. 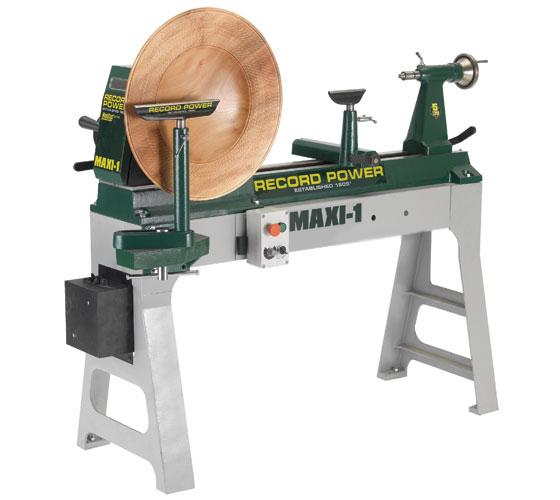 Combining Record’s traditional swivel head functionality with modern construction and high quality electronic control, this machine is ideal for the professional woodturner as well as the dedicated enthusiast. 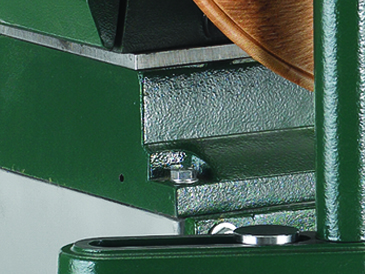 Despite its weight, the strongly made headstock is easily swivelled using the cam lock lever. 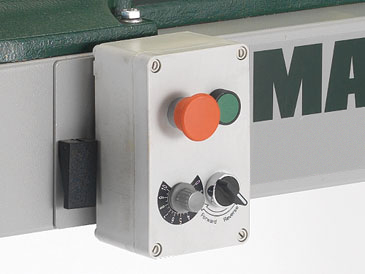 The belt tension is controlled by a large and easy to move lever. 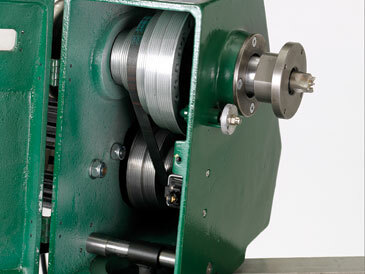 A substantial handwheel gives full control of the spindle. There are three presets at 0º, 30º and 90º but any angle can be selected and locked securely in a thick selector plate in the base. Packed with features, the heavy duty swivel head features a 6 speed pulley change, cam lock swivel, safety micro switch and indexing. 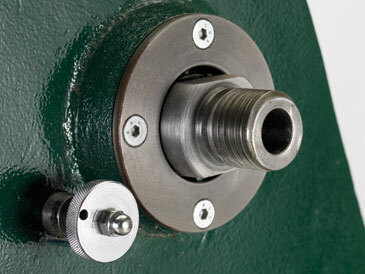 The M33 x 3.5 spindle is ideal for the heaviest work and has a machined register for secure mounting. Heavy tool rest and banjo with very positive cam lock for easy one handed movement. 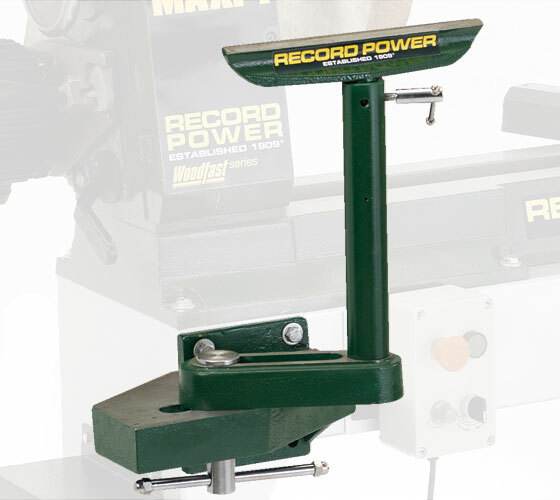 The 2MT cam lock tailstock gives rock solid holding power and the centres are easily removed using the supplied tommy bar. 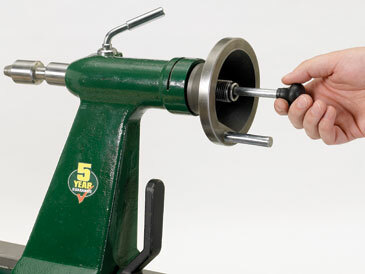 The tailstock is hollow to enable long hole boring. Easy and instant speed control is achieved using the premium quality European made Schneider inverter, the industrial solution to variable speed control. 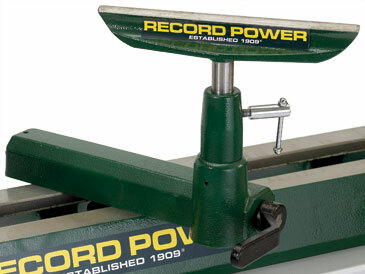 Substantial use of cast iron for the bed, headstock, tailstock and legs provide the mass and damping required for any project within its capacities. 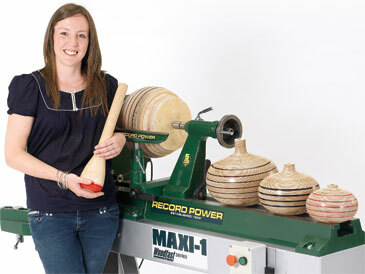 Sarah Thirlwell is an award winning woodturner and designer. 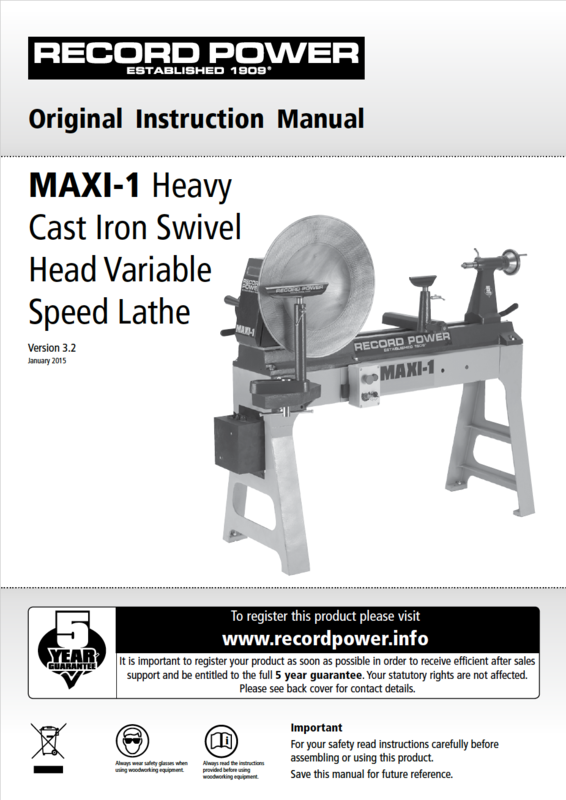 At the heart of Sarah’s workshop is her MAXI-1 Heavy Duty Swivel Head Lathe. The motor power, capacities and structural strength means it handles Sarah’s large scale heavy work with ease, allowing weighty, irregular blanks to be turned into balance with no vibration or loss of torque.